Lock in a great price for Das Reinisch Guesthouse – rated 8.3 by recent guests! Very helpful staff who responded quickly and efficiently to questions! The breakfast was one of the best one I have ever had. All natural products, sweet and salty, furthermore placed in a great location! It was a distance from the nearest train/public transport, you have to walk a ways to a different building where the lodging is, there’s no air conditioning or even a fan in the rooms and the bathroom is small. I did appreciate them bringing a fan upon my insistence. Very helpful and friendly staff and clean, modern rooms. Airport shuttle very reasonable and prompt. Our room was upgraded to the hotel before we even arrived! The breakfast is exceptional, with excellent variety, and served early enough even if you have a morning flight. Very good location to Schwechat airport. Staff is pleasant and helpful. The staff was friendly and helpful. It was clean and run well. It is also close to the Danube. Room was lovely, hotel was very clean and nicely decorated. Staff were very helpful :). Das Reinisch Guesthouse This rating is a reflection of how the property compares to the industry standard when it comes to price, facilities and services available. It's based on a self-evaluation by the property. Use this rating to help choose your stay! The rooms feature wooden floors, a flat-screen satellite TV, a work desk, and a bathroom with hairdryer. A free bottle of water is provided on arrival. The breakfast buffet is served in the on-site café. Early breakfast is available on request. 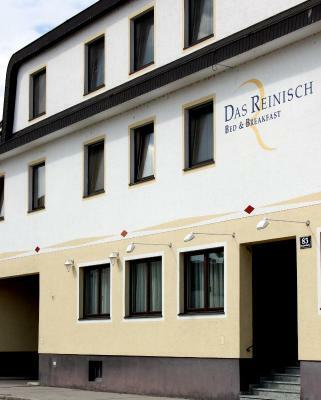 Guests of Das Reinisch Guest house can use all facilities at Das Reinisch - Vienna Airport Hotel, 1,000 feet away. These include a restaurant, a sauna, and a fitness room. The reception is also located there. The nearest exit of the A4 motorway is 1.9 mi away. The city limits of Vienna are 2.2 mi away, and the city center is 9.3 mi away. An airport shuttle is available at an additional cost. This property is also rated for the best value in Schwechat! Guests are getting more for their money when compared to other properties in this city. When would you like to stay at Das Reinisch Guesthouse? 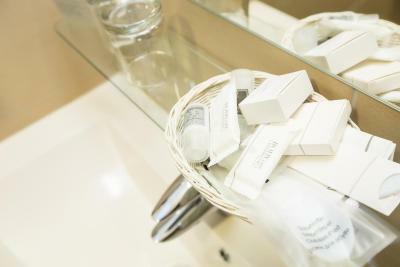 These spacious rooms have a private bathroom, desk and a flat-screen TV with satellite channels. Large windows flood the units with a lot of natural light. House Rules Das Reinisch Guesthouse takes special requests – add in the next step! Das Reinisch Guesthouse accepts these cards and reserves the right to temporarily hold an amount prior to arrival. Check-in and check-out take place at Das Reinisch - Vienna Airport Hotel, only 1,000 feet away. Please note that if you book without credit card or without alternative payments, your room can only be guaranteed until 18:00. The shuttle company the hotel uses from the airport is not service-oriented. Lots of drivers standing around and no one to take you until one walks off with an Uber ride on the way, and then things start happening. It's a ding on the hotel because they set us up with this shuttle service from the airport and I can't recommend it. Very nice staff and very serviceminded! Nothing, Lovely room, helpful staff :). I enjoyed my stay very much. Receptionist and bar staff were very professional. They know what they are doing. Room was awesome and they have very good WiFi. Highly recommend to book this hotel. Dinner was tasty, service was excellent and the room was well-equipped, comfy, nicely decorated and clean. Difficult to get into town without a private taxi. You need to take taxi to get anywhere. good job. staff very accommodating. The only thing I like here was breakfast. It has several locations not far from each other (on the same street but different location), in case you visit it for the first time always ask the receptionist where your room is/where should zou leave the keys. It is in 10-15 mins drive from Vienna. Clean, comfy and well equiped. Bathroom could be newer and the floor in room as well.